After serving 17 years in the Victoria police force I relocated to Noosa Heads in 1990. In 1992 I started working for Warren Evans Real Estate where I stayed for 7 years. In 1999 I purchased property in Mooloolaba where I commenced working for Mooloolaba First national where I was sales manager spanning 10 years. 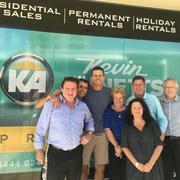 I then had 6 and a half years with Mooloolaba Real Estate before joining Kevin Annetts Property in September 2015. 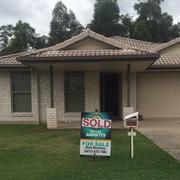 I have a very wide range of real estate experience right across the Sunshine Coast. ALEX PATROLLED BEACH - SEE IT ! SMELL IT ! SKIP TO IT ! Blue chip prime Alex Golden Triangle location perfectly situated less than 80 meters from “ The Bluff “ surfing headland and the same distance to Alex Surf Club, café’s and patrolled swimming beach. Chez Nous is only a small block of 6 units and is perfectly positioned in the complex offering majestic ocean views forever. There are two enormous bedrooms, quality bathroom and laundry area plus a well appointed kitchen. The living and dining areas and spacious in layout which leads to a large balcony capturing those ocean views and coastal breezes. The Body Corporate Fees are low and there is a lock up garage with easy access. A tightly held complex over the years so this is a rare opportunity to purchase in a prime Alex Beachside location walking distance to everything within minutes. Don’t Delay – Inspect TODAY ! POSITION! POSITION ! POSITION! ALEX BEACHSIDE LOCATION! ! Situated in a prime Alex beachside position “Tindarra” is situated less than 100 meters stroll to Alexandra Headland Patrolled swimming and surfing beach and everything this Blue Chip Alex location offers. “Tindarra” is a tightly held building and units rarely become available for sale in this small complex. There are two spacious bedrooms capturing coastal breezes and plenty of light streams in the large living area, immaculate kitchen area. There is a good size balcony facing North/East offering an ocean view plus plenty of sun and breezes where you can relax and watch the world go by. The apartment has easy access to your undercover car park. This is an excellent investment property to add to your portfolio or just a great place to live and enjoy all that this piece of Alex Beachside location offers. Apartments like this are very rare indeed as there simply wasn’t too many built. - 146m2 of oceanfront apartment lifestyle. - 3 Bedrooms, master with ensuite. - Vinyl planking flooring throughout. - Second bathroom. - Air conditioning in living areas. - Dining room. - Spacious lounge room. - Kitchen in excellent condition. - Large balcony overlooking the pool and ocean landscape. - Large rear balcony overlooking tennis court. - Walk to all amenities. This is prime real estate in one of the best locations on Parkyn Parade that Mooloolaba has the river on one side and the ocean on the other – locally considered Noosa’s Hasting Street but in Mooloolaba. This unit consists of the following • River side with great water views • Small block of just 6 units • 2 Bedroom, 1 Bathroom and Open Plan Design • Reasonable Body Corporate Fees • Gated security • Half the block is Owner Occupied • Walking access of just 40 meters to the beach • Short stroll to the revamped Wharf This is a solid investment In a small block – sought after location – Inspection a must. Well here is the next best thing. A duplex – No run of the mill Body Corporate fee’s here. Only insurance fee of $630.00 per year: huge plus! The small house size duplex is 130sq meters in size and is situated in a quiet cul-de-sac just 1200 meters from the beach, Coles, medical facilities, bakery, BWS etc. It consist of: - 3 double bedrooms. - Main bedroom has access 2-way bathroom. - Spacious lounge room. - Workable kitchen with family eating area. - 2 car garaging (Single Lock up plus separate car port). - Large backyard. Beautiful landscaped and private. The home is hard to beat at $470,000. This classic timber high set home is adorned with character , charm and sits on an elevated 607m2 block with views to the Buderim Hinterland. Property consists of: • 3 Bedrooms, 2 Bathrooms • Lounge Room • Dining Room • Big Open Plan Kitchen • Timber Floors Throughout • Garaging Under the House • Landscaped Secure Back Yard • Under Cover Pergolas /Outdoor Entertaining This property is located in the “Low Density Residential Zone” in short this house can also obtain approval for work from home offices. A detailed information sheet can be provided upon request. The property is 1 kilometre to Alex Beach and 900 metres to the New Maroochydore CBD – Location personified. Very good long term investment call today for an inspection ! This is rare Real Estate indeed. Situated in the heart of Minyama and close to all shops, parks and waterways. This is one of only 2 and is simply huge inside! * 2 huge bedrooms * 2 bathrooms * Massive living area, tiled throughout * 2 pack kitchen * Enormous north east facing balcony * double lock up garage * low body Corporate fees This is Blue Chip Real Estate. “TANA LEA” is undoubtedly one of the most sought after unit developments ever constructed in Mooloolaba. All are townhouses with single internal lock up garages and secure private courtyards. Unit Number 9 consists of 2 large bedrooms, master has 2 way bathroom and is immaculate. Downstairs has new vinyl timber look flooring, open plan living, kitchen and separate toilet, plus separate laundry. With a Northerly aspect, entertaining is very enjoyable in a generous size back yard. Same Owner has enjoyed this location for the past 12 years and why wouldn’t he ? Just 400 meters to the beach, Coles, Chemist, Bottle shop, Bakery and Restaurants – Like HELLO ! This nice and simple brick and tile home is in a well sought after street and just 900 meters from the beach, shops and amenities. It's nicely elevated with landscaped gardens and room for a pool. This home is perfectly presented for inspection. With three bedrooms, one bathroom, air conditioned lounge, dining, single lock up garage and not a cent to spend this represents excellent buying indeed, just move in! There's loads of potential here to extend, expand or go up. This is a great opportunity at entry level. This apartment boasts beautiful north east ocean views. Situated on the 4th level, it offers 2 bedrooms, 2 bathrooms, open plan living and good size balcony. The complex has security parking, 2 pools, gymnasium, spas and saunas. It is literally just 100 metres to the beach, Alex Surf Club just another 400 meters further. All required amenities are extremely close by, general store, bottle shop, restaurants etc ... Body Corporate is reasonable with a very healthy Sinking Fund. This is a great live in place and permanent or holiday rental. They dont come much better than this. Just 400 meters to the sea, shops, Coles, Bottle shop, chemist and much more. A legitimate immaculate townhouse lived in by original owner since new. Downstairs big open plan living area, spacious kitchen, separate toilet, new outdoor under cover BBQ area, single lock up garage with internal access. Upstairs has 3 large bedrooms, master with ensuite and second bathroom. This townhouse is on the end which also offers side access and extra storage. This property is near new inside with reasonable Body Corp and a great location. This upstairs unit is situated in a small block of 8, is absolute north canal frontage and only 800 metres to the Esplanande, beach, restaurants and amenities. It boasts 2 double size bedrooms, open plan kitchen, living room and a spacious bathroom. It also provides a single lock up garage with storage space. The body corporate is reasonable with a healthy sinking fund and it's conveniently home to excellent tenants with good rental return or would be a very pleasant place to live, entertain or watch the sunrise. 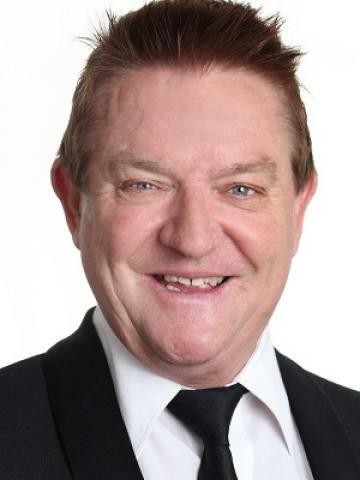 Paul "The Chief" Harragon spent today in Mooloolaba after purchasing a prime Mooloolaba apartment through Neil Bickley. He then called into the office to meet everyone and what a true legend and gentlemen he was. Looks like Mooloolaba will see a lot more of him. Words can't express the thanks I owe you. You're one in a million. I hope you have lots more success in the future and I'll recommend you for the rest of my life.